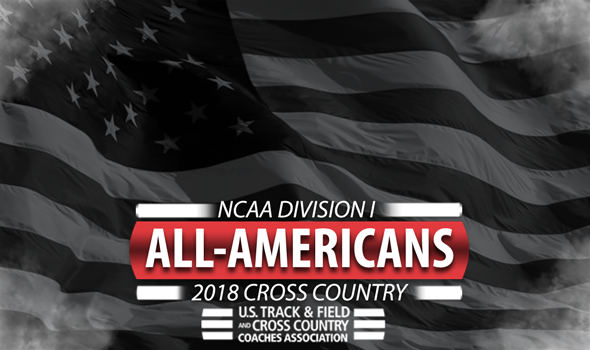 NEW ORLEANS – All-Americans for the 2018 NCAA Division I Cross Country season were announced Monday by the U.S. Track & Field and Cross Country Coaches Association (USTFCCCA). Athletes of member institutions who finished in the top-40 of their respective races this past weekend at the NCAA Division I Cross Country Championships in Madison, Wisconsin, earned the distinction. The Colorado women and the Northern Arizona men captured their respective team titles, while Colorado’s Dani Jones and Wisconsin’s Morgan McDonald were individual champions. There is no doubt after looking at the All-America lists as to why the Buffs and Lumberjacks won national titles. Colorado and Northern Arizona both had six All-Americans on their roster. The Buffs, who won their first national title since 2004, were led by Jones – but also had Val Constien, Sage Hurta, Makena Morley, Tabor Scholl and Tayler Tuttle in the top-40. The Lumberjacks became the first NCAA DI men’s program to win three consecutive national titles thanks to the efforts of Matthew Baxter, Geordie Beamish, Tyler Day, Blaise Ferro, Luis Grijalva and Peter Lomong. Six programs earned three or more All-America honors this past weekend. Four of those were men’s teams: BYU, Colorado, Portland and Stanford. That left the women’s teams from New Mexico and Oregon as the remaining two. No program, out of the 34 that had at least one All-American on their roster, earned more All-America honors than Colorado. The Buffs had nine combined All-Americans between their men and women. On a conference level, the Pac-12 led the way with 21 All-Americans. The West Coast Conference was a distant second with 11. In total, 14 conferences had at least one All-American. When you break it down by classification, seniors accounted for 34 All-America nods. Juniors totaled 29, while sophomores (12) and freshman (5) followed in order. See below for a full list of NCAA Division I Cross Country All-Americans.